A fresh wine by type, abundant fruit on the nose with some floral overtones, warm on the palate, finely rounded, harmonious, with solid body. Beautiful glowing crystal colour of yellow straw, considerably intense aroma hinting fresh apples and some vineyard peaches, also suggesting some bright field flowers. 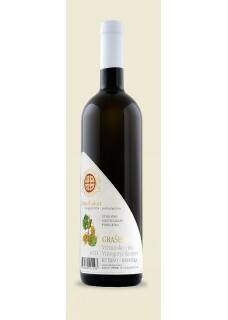 Taste is vibrant with good acidity finishing with pleasant mild bitterness specific to the wine variety.